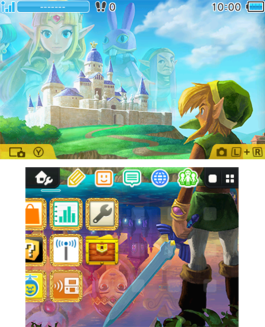 Nintendo 3DS HOME Menu themes are now available to purchase in the Theme Shop, allowing you to brighten up the HOME Menu of your Nintendo 3DS family system. These themes add an extra level of personalisation, and can include custom background music, background images, icons and sound effects. New themes are being added to the Theme Shop regularly, so make sure you check back from time to time – there’s something for everyone! Check out the latest themes at our New Releases page.